YOU ARE INVITED RSVP NOW! 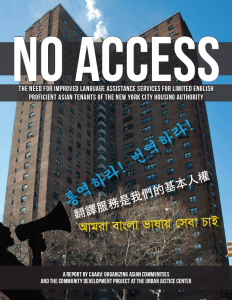 This report documents the experiences of low-income, limited-English proficient Asian public housing residents, and the barriers they face to receiving adequate language access services from the New York City Housing Authority (NYCHA), including interpretation, written materials and access to repairs. 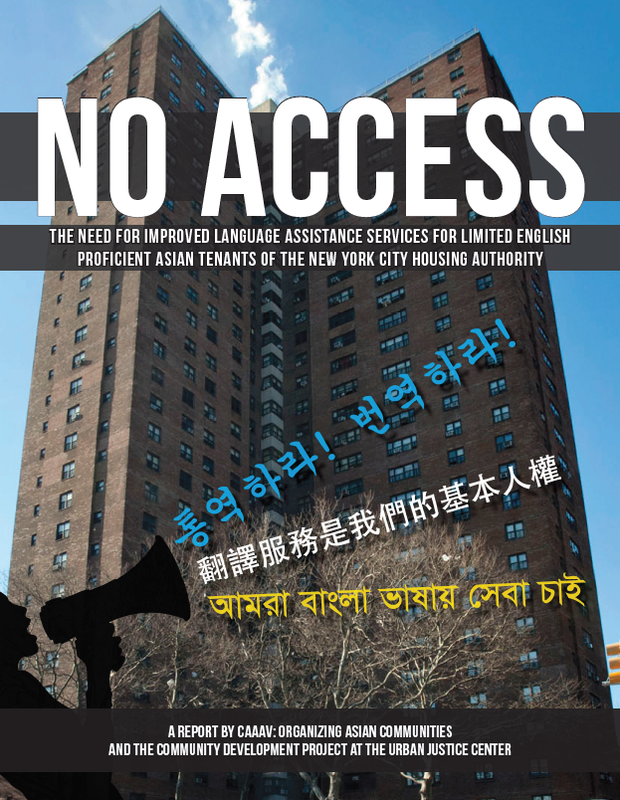 The program will include key findings and recommendations, tenant testimonials and a panel discussion with Amy Taylor (formerly Legal Services NYC, currently Make the Road NY), Ritchie Torres (District 15 Council Member, Chair – Committee on Public Housing), Nisha Agarwal (Commissioner – NYC Mayor’s Office of Immigrant Affairs), and Shahana Hanif (Public Housing Organizer, CAAAV). Please mark your calendars and share widely!